We realize you have many demands on your time. This short survey can be completed online in than three to five minutes. Your input is important to us and responses will help us better meet the needs of our members. Please complete the survey by December 8. A few submissions will be selected randomly for prizes. Each year, ASUG and Eventful Conferences host a one-of-a-kind conference specifically for customers who leverage SAP analytics applications and/or SAP® BusinessObjects™. As volunteers with ASUG, we look forward to this opportunity to connect with information and people that will help us as SAP professionals both in day-to-day operations and when it comes to providing the intelligence for your organization to make game-changing technology and business decisions. We would like to invite you to join us. The conference takes place Feb. 19–21, 2018, in Huntington Beach, California. The BI+Analytics Conferencedelivers threefold value to you as an SAP customer: Customer-focused education, opportunities to network with peers, and a channel to influence SAP analytics and SAP BusinessObjects product direction. You will return with information, insights, and ideas to your organization that will grow you as an SAP professional and position your organization for continued business success. We look forward to seeing you in Huntington Beach in February. Coming in November: call for presentations for 2018 ASUG Annual Conference. Presenting at SAPPHIRE NOW® and ASUG Annual Conference not only helps others connect the dots, but it also brings visibility to your company and demonstrates your thought leadership. 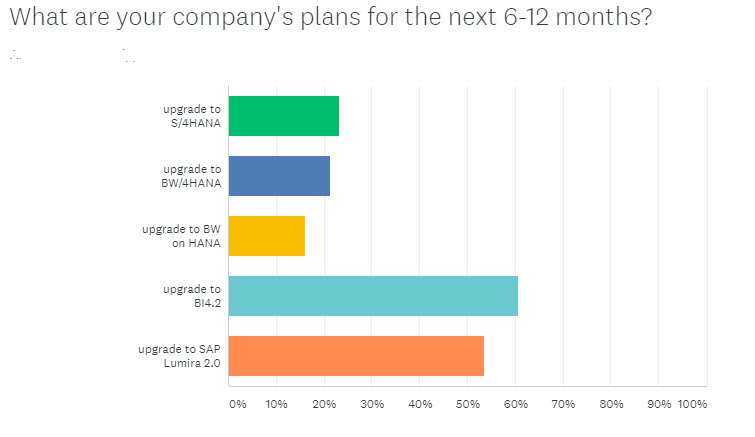 Other topics that will help customers better leverage their investment in SAP technologies. Benefits of speaking include complimentary registration to the event for one (1) primary (customer) and one (1) secondary presenter. Everyone has a story to tell, a lesson learned, a “gotcha.” We hope to see you speaking in Orlando, June 5–7, 2018. 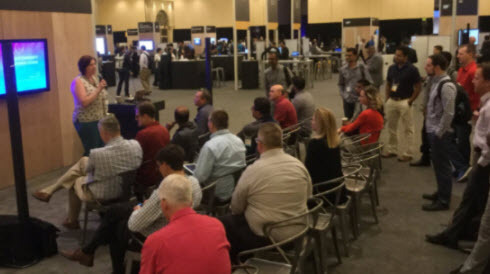 Thanks to all who attended our ASUG BI Networking meeting at SAP TechEd Las Vegas last month, led by ASUG Volunteer Allison Levine. We hope to see you next year, Oct. 1–5, 2018, in Las Vegas. Have a Twitter account? 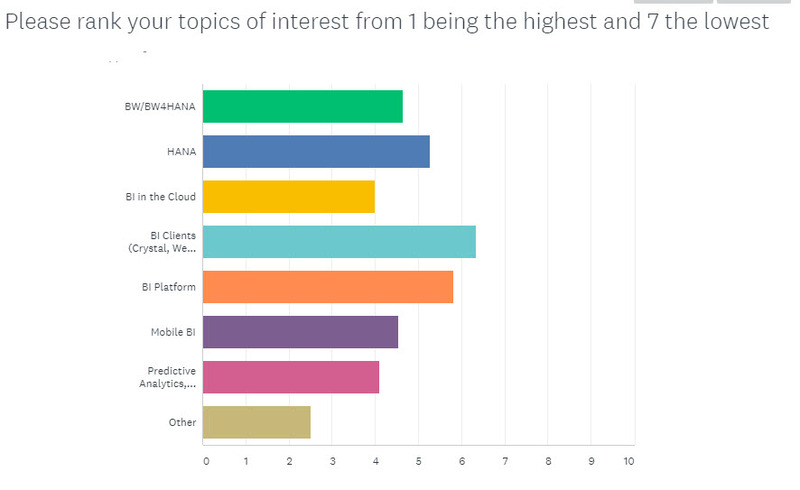 Join the conversation and follow us on Twitter @ASUG_BI.